Pavers by Jason's Quality Landscaping, Inc.
Do you have a commercial or residential property in need of an exterior makeover? Or would you like to add some aesthetic value to your property? One terrific way to beautify your property and add aesthetic value is by adding pavers. At Jason's Quality Landscaping, Inc., we provide brilliant paver installers for all your paver installation needs. 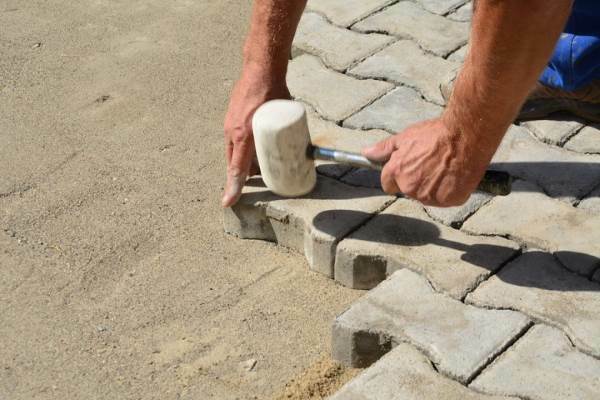 Paver installation requires patient, creative, skilled craftsmen, to achieve maximum satisfaction. With Jason's Quality Landscaping, Inc., you'll get all that and more. Jason's Quality Landscaping, Inc. has been delivering top quality products and grade A installation at the most affordable rates since 1994. We take pride in educating and communicating with our customers, from start to finish, on the project so that every customer is aware of the materials they'll be provided with, type of services they'll be offered, and duration of the project. Customer satisfaction is our number one priority. Find out for yourself, and call Us today at (919) 214-9134.